Unparalleled - that pretty much sums up the achievements of Team Sangers over the years! They claimed first prizes against thousands of pigeons and several ace pigeon titles, which says it all. The key to success for this team was crossing the old Sangers bloodline to the renowned Kittel dynasty of Dirk Van Den Bulck. Sangers Pigeons probably have the world's best two sisters of Kittel in their collection with Angelina and Gold Dust. And Skittel (son of Kittel) is a fantastic breeder as well! The Lincia dynasty of Stefaan Lambrechts is thriving within team Sangers as well, thanks to several successful youngsters and brothers/sisters of this fantastic bird. 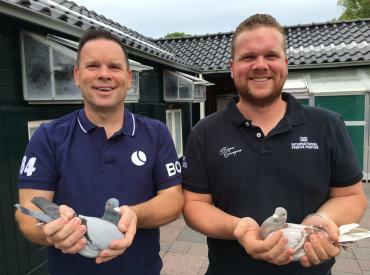 Sangers Pigeons is now selling youngsters of their most-valued breeding and racing birds.